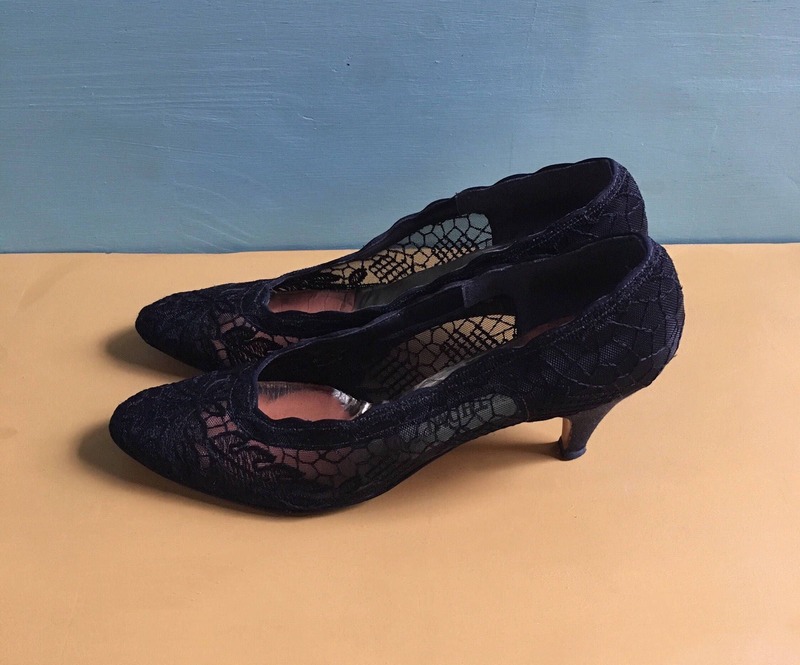 Vintage 1960s women’s black floral lace kitten heels / pumps with brown leather bottom sole. 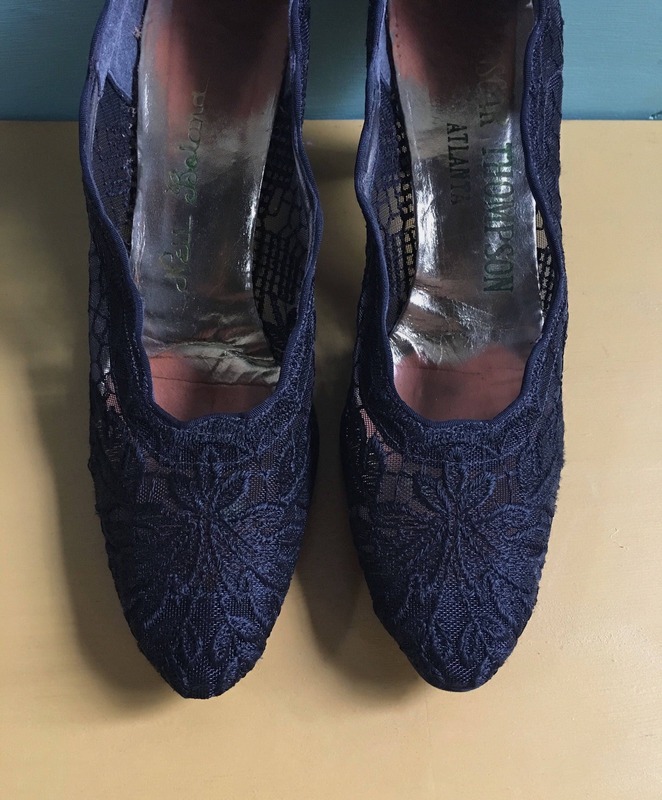 Great vintage condition; light wear from age. 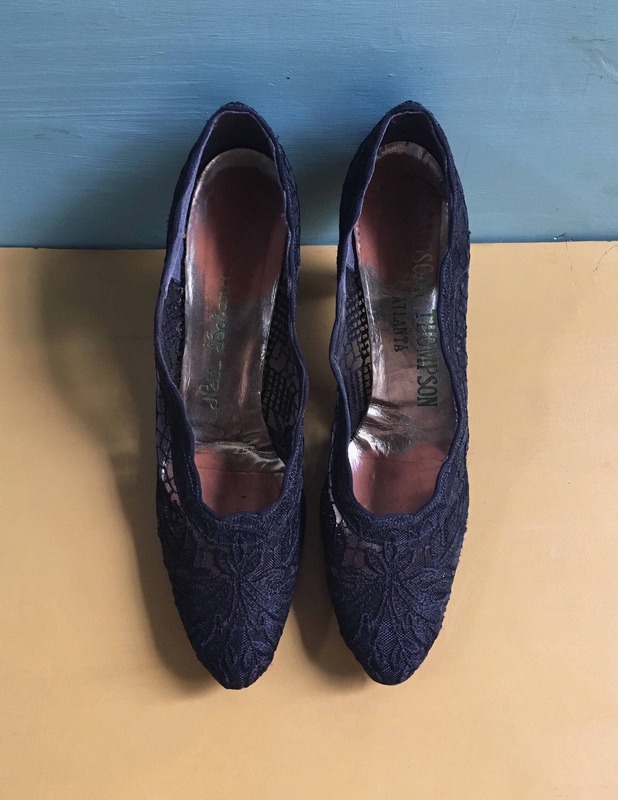 Some wear and fading from use on inside soles (see photo). 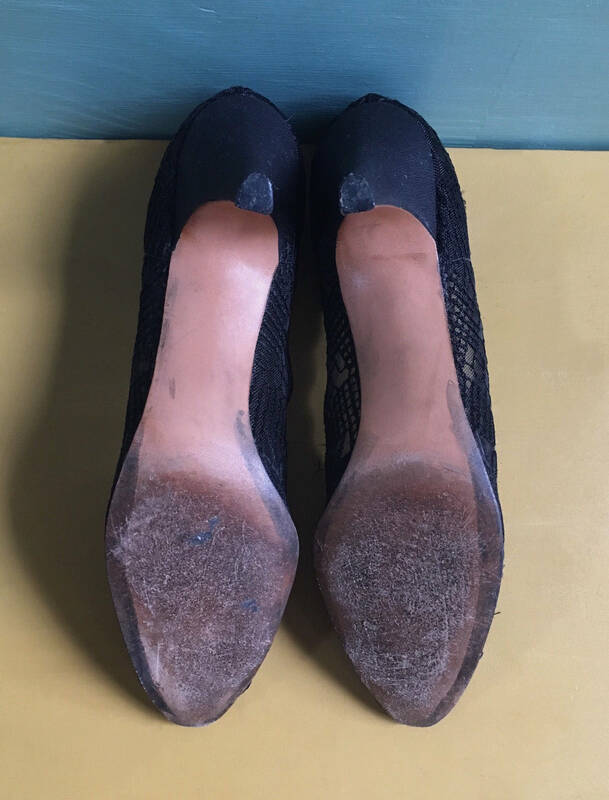 Brown leather bottom soles have some wear from use as well (also pictured). No other flaws to note. 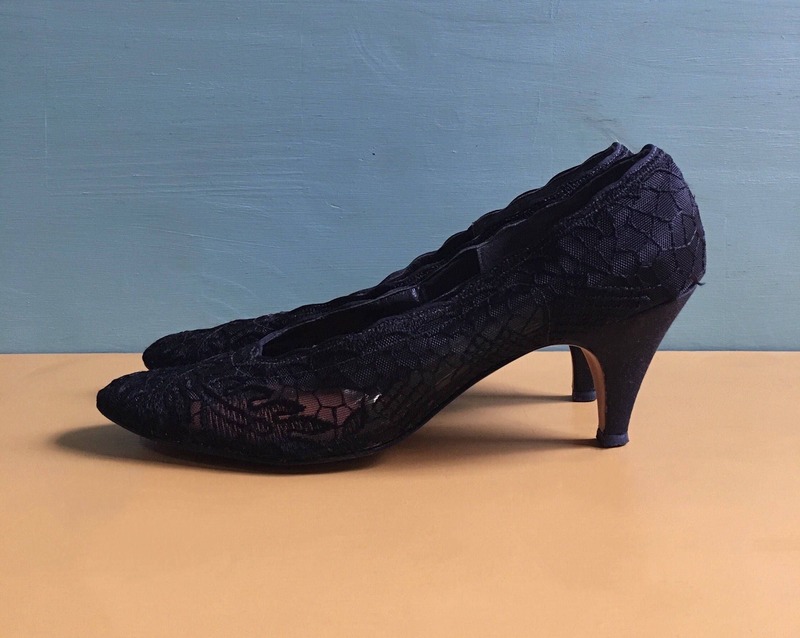 Black lace upper is in excellent shape with no holes, tears, loose threads or other damage. 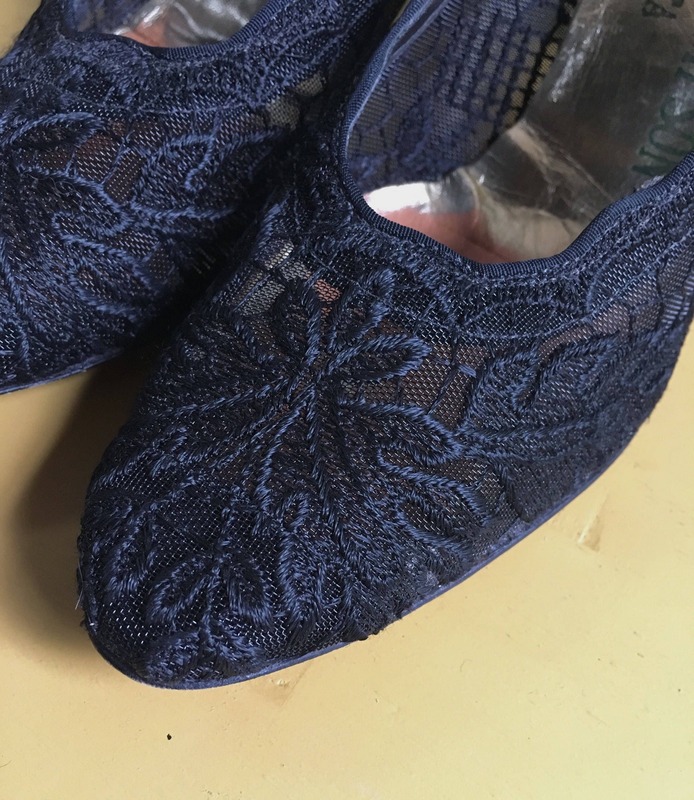 Lace is not stiff or cracking and still flexes with movement. Brown leather bottom sole has some wear from use. 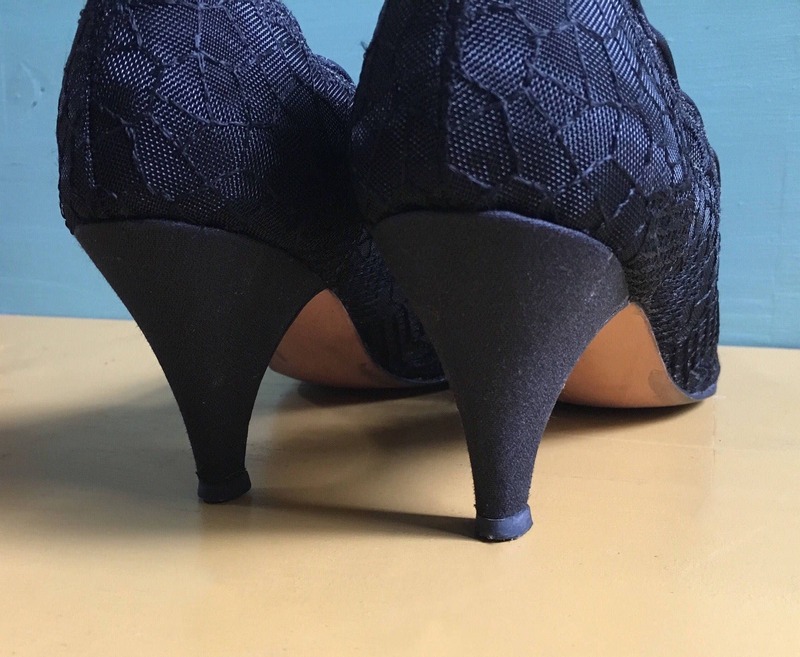 Heels and heel tips are in great shape with no damage. 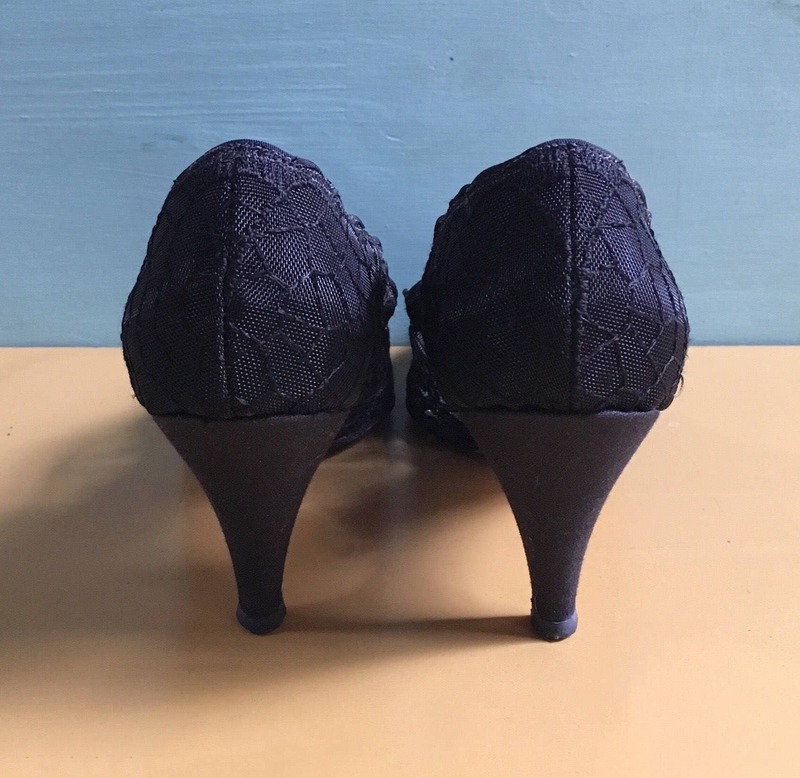 Heels are covered in black fabric with no flaws. 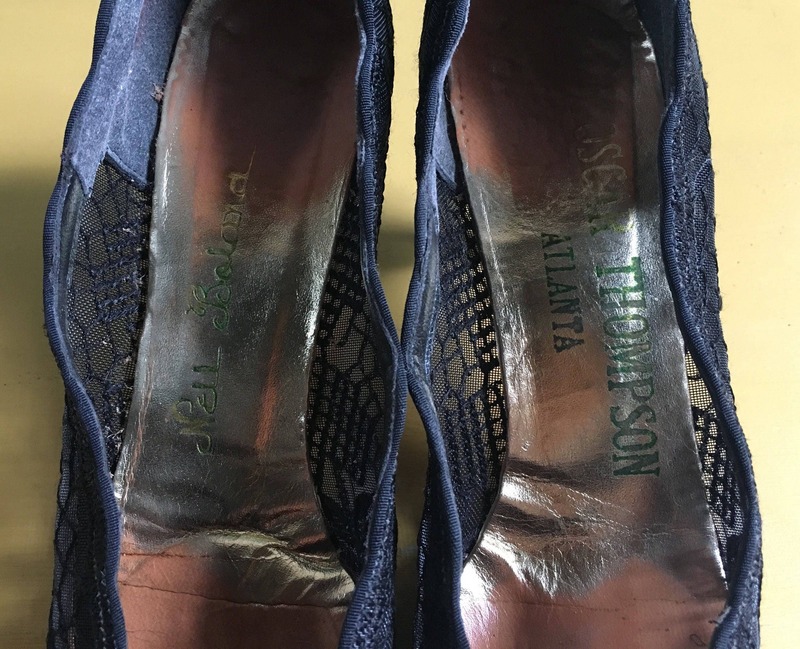 Labels on inside sole read ‘Nell Boland’ on right shoe and ‘Oscar Thompson - Atlanta’ on the left shoe. 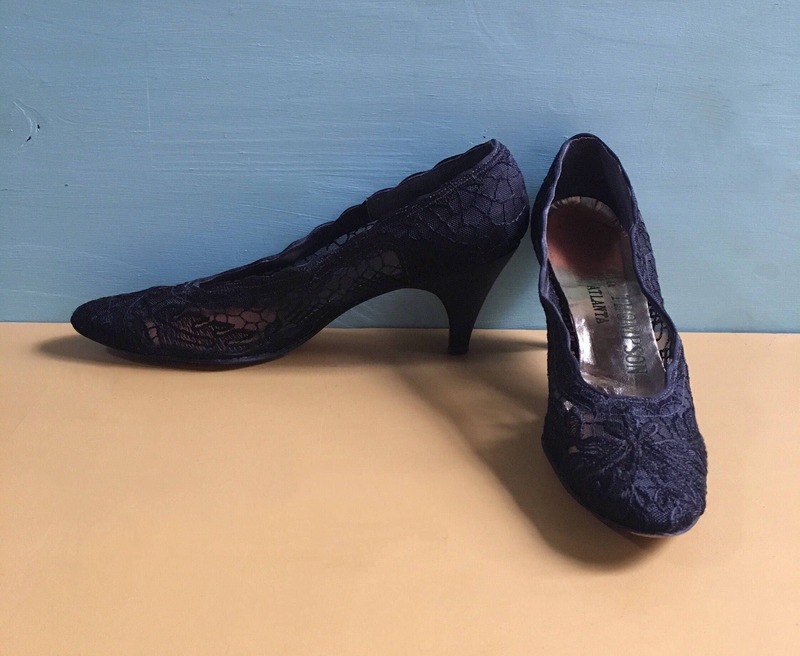 Shoes are marked for size inside but mark is smudged; 8.5 in size but narrow; original owner wore a size 8.5 AAAA and these heels are the same size comparatively to other pairs she had that were marked more clearly.